I like to throw a curveball into the mix every once in a while and today, as we near the end of the 12 Days of Cookies, that is a floral flavor. Last year I included a really nice Cardamom Rose cookie in the mix, using dried rose petals and a hint of rose water. It was an interesting and rather pretty flavor to disrupt the expected holiday combinations of spice and fruit and it was lovely too. I was happy with the new addition so this year, I’ve got a lavender entry. Why not? 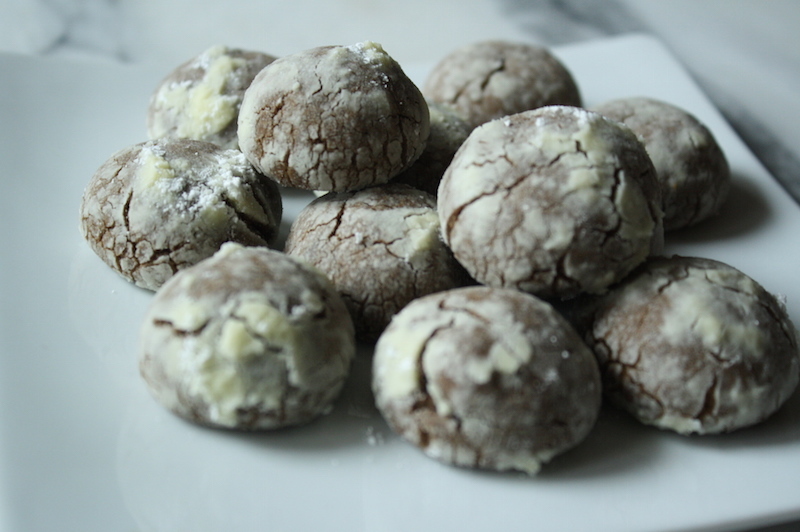 For Day 10 of the 12 Days of Cookies, a.k.a. 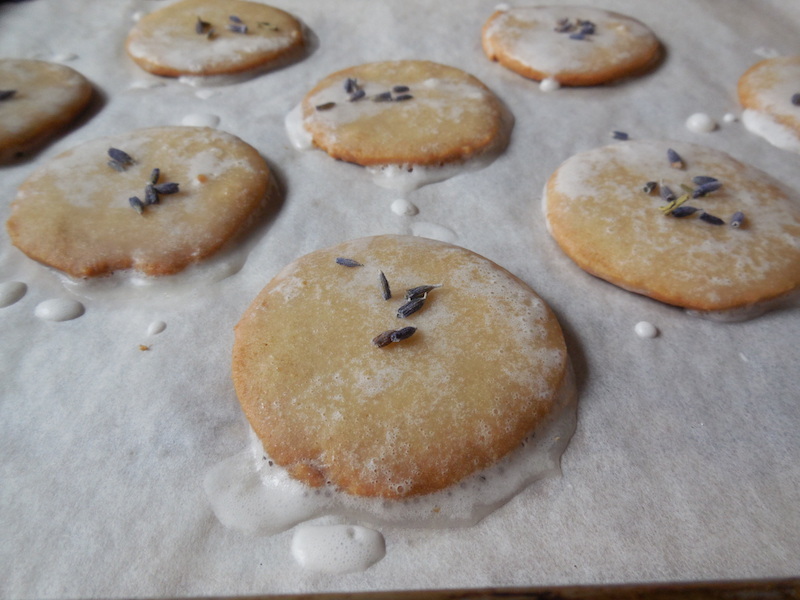 One Dough/Many Cookies, we have a Brown Sugar Wafer with Lemon Lavender Glaze. One week people. One week until Christmas Eve. I am nowhere near ready but that’s neither here nor there because we are officially ¾ of the way through this year’s 12 Days of Cookies and that is cause for celebration. To date, if you count previous years, we have 33 completely different cookies made from one basic cookie dough, and 33 is a very lucky number in my world. So huzzah to us all! 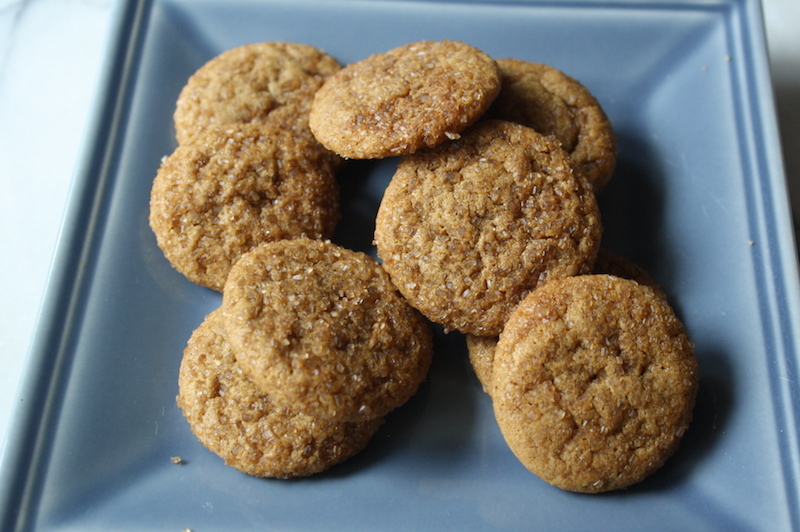 Even better, today’s cookie has one of my favorite ingredients AND a glaze. I do so love a glaze. 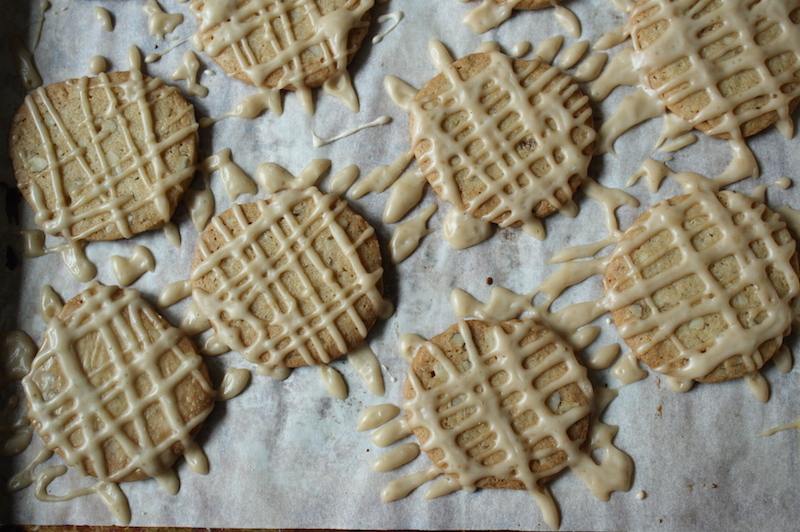 For Day 9 … Black Walnut Cookies with Maple Glaze. You know what we haven’t had in 3 years worth of 12 Days of Cookies? Biscotti. Right? Let’s fix that today. To the basic butter cookie dough add cornmeal for crunch, egg whites for structure, a little honey, some additional leaveners and for flavor, lemon and black pepper (because why not?) 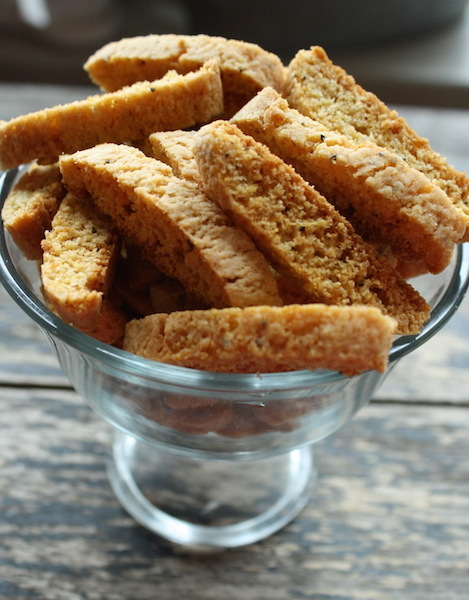 For Day 7 … Lemon Cornmeal Biscotti. We’ve always been a big cookie baking family and the holidays had a very specific list. Cream cheese spritz for sure, with an abundance of sprinkles and those mercury loaded silver balls. Windowpane cookies which to the delight of the kids and the horror of my mother, we’d crush hard candies with hammers to sprinkle inside the cutouts. Candy bits scattered everywhere. And how much easier would it have been if we’d had silicone baking mats back then?? Kolacky. Twisty peppermint candy canes. 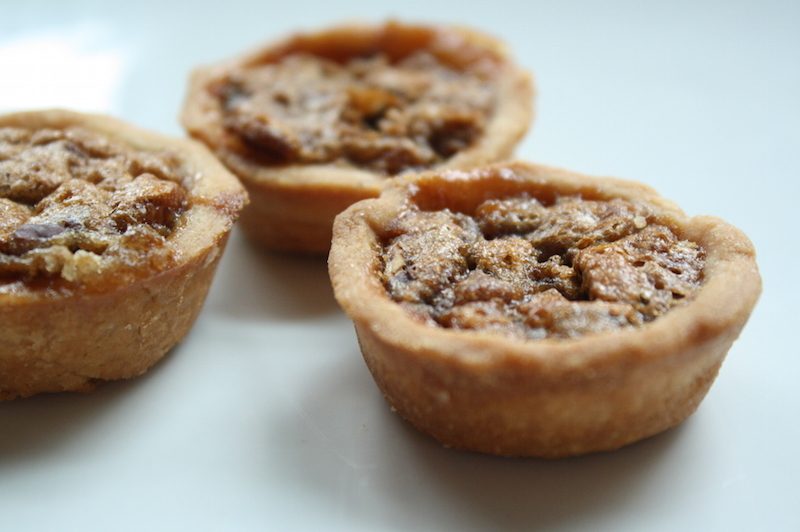 And pecan tassies, little miniature pecan pies. 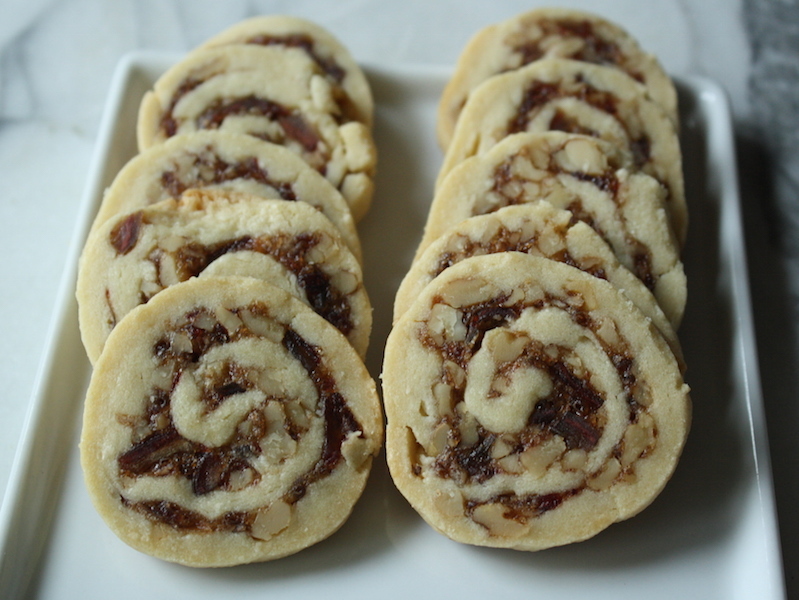 So today for Day 6 of the 12 Days of Cookies, a holiday classic … Pecan Tassies. We’re at the halfway mark folks!